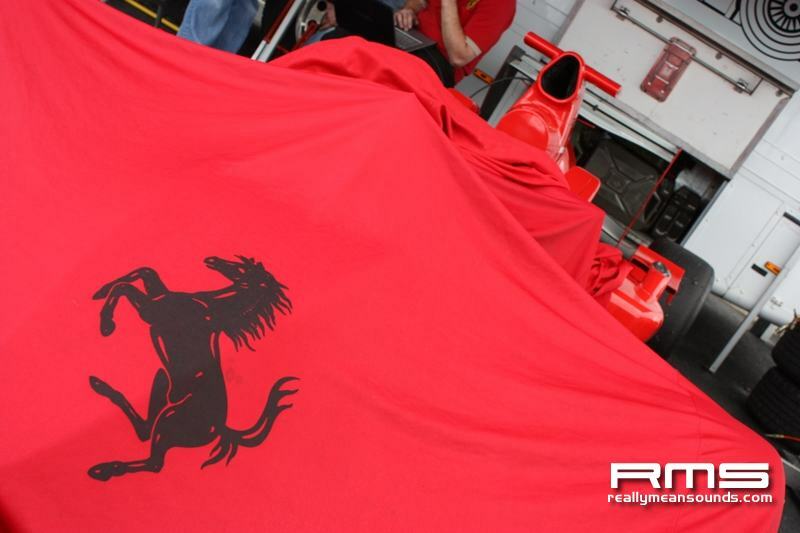 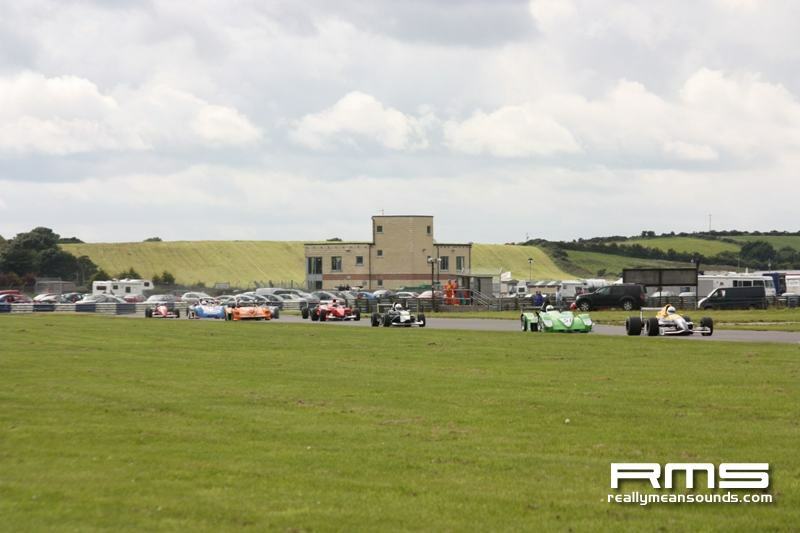 The fifth running of the Martin Donnelly Trophy and the format two heats and the final itself. 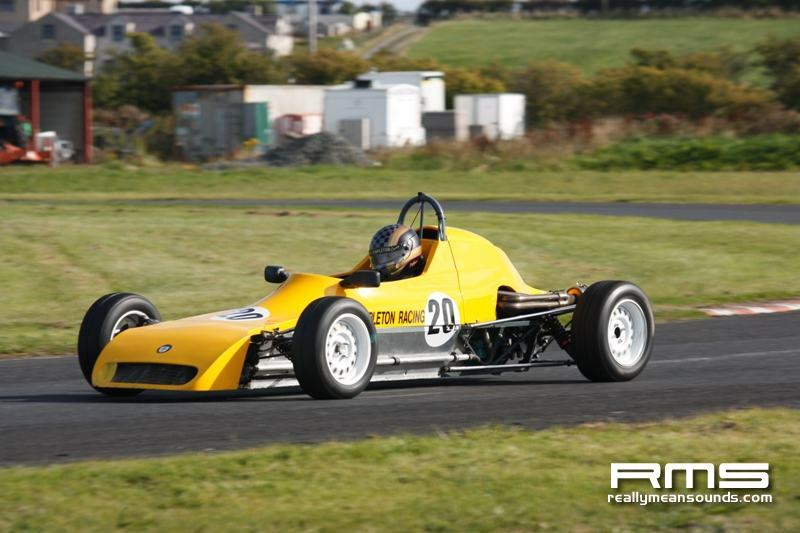 Two previous winners were in the line up, Ivor McCullough and Noel Robinson, but neither managed a repeat performance as a new name was added to the list: Neville Smyth, who earlier in the year won the Bert Ray Memorial Trophy and now has his sights firmly set on the Formula Ford Festival and Walter Hayes Trophy races. 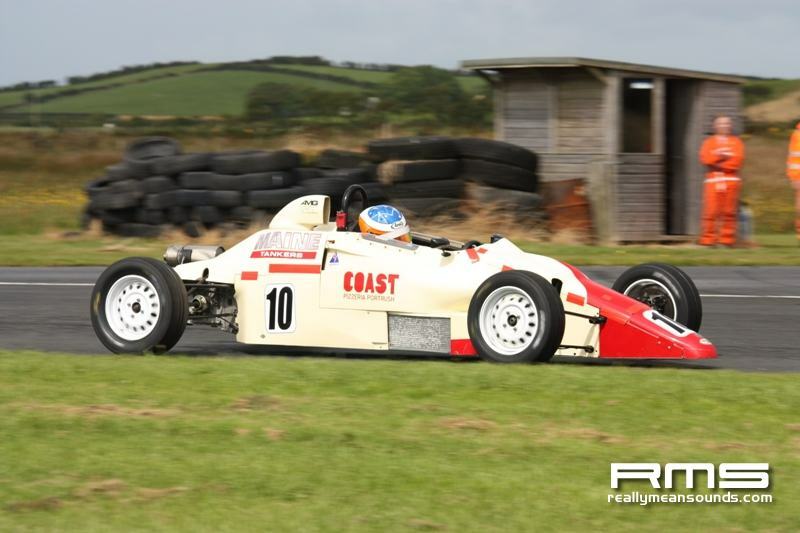 Heat one and the front row was occupied by these two previous winners and by the second corner McCullough got the nose of his Van Diemen ahead, but then went off in the slippery conditions at Fishermans, Robinson led the charge, pulling ahead of the competition, he was to go off at Fishermans and rejoined to recover to take third. 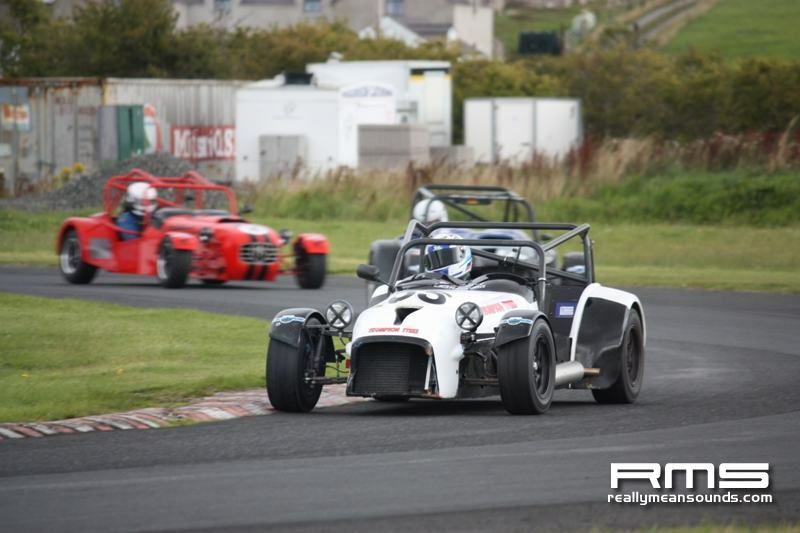 Meanwhile Adrian Pollock and teenager Scott McGarrity were involved in a close tussle and at the line it was a very close finish, Pollock from McGarrity. 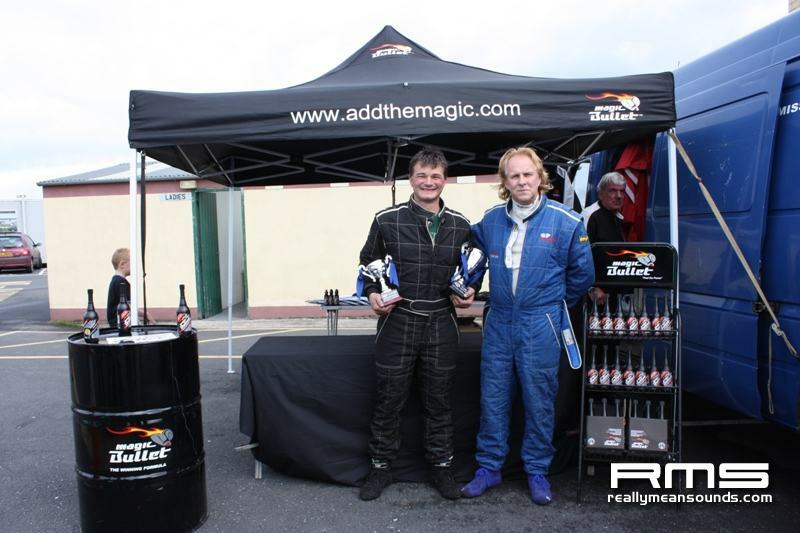 Heat two and an all Ray front row with Nigel Smyth on pole from Stephen Daly who led but like in the previous heat, Fishermans was to prove costly as Daly visited the scenery, but like Robinson regained the track and finished third. 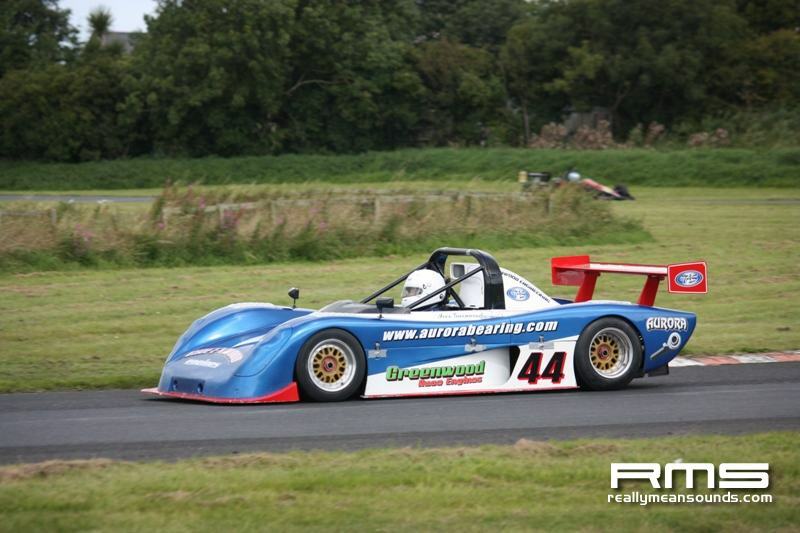 Smyth was in top form and he managed to ease away from Ferguson to win by a comfortable margin. 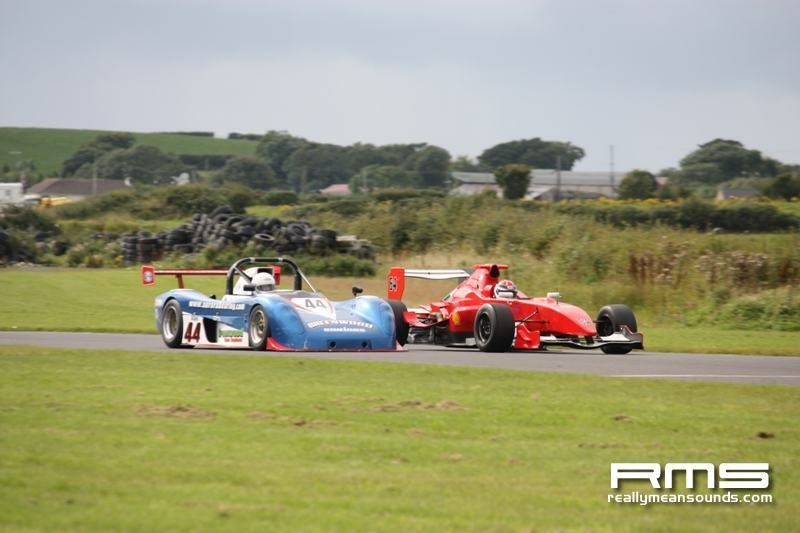 With only 20 cars turning out for the Martin Donnelly Trophy, a number deciding to stay away and prepare for the last meeting of the season with two championship rounds there was no requirement for the Last Chance race. 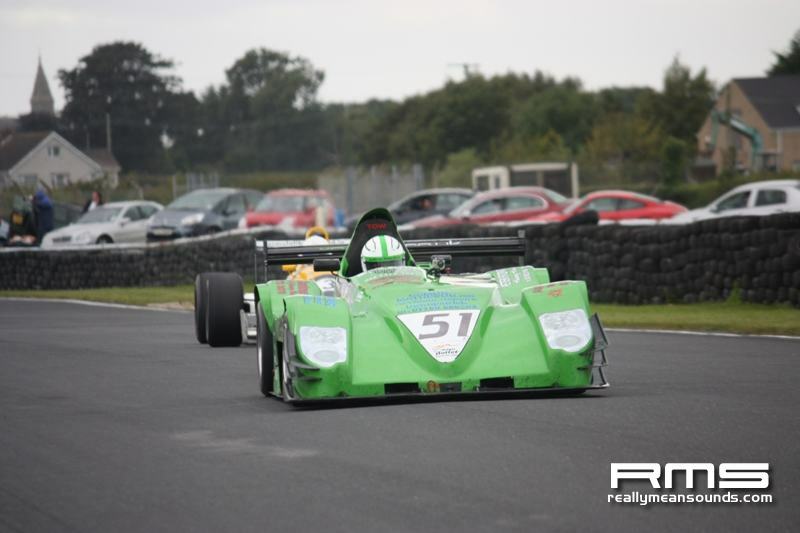 Smyth was in the fastest heat, so he occupied pole position for the Final and he made a superb start to quickly pull away from the pack, with four cars fighting for second. 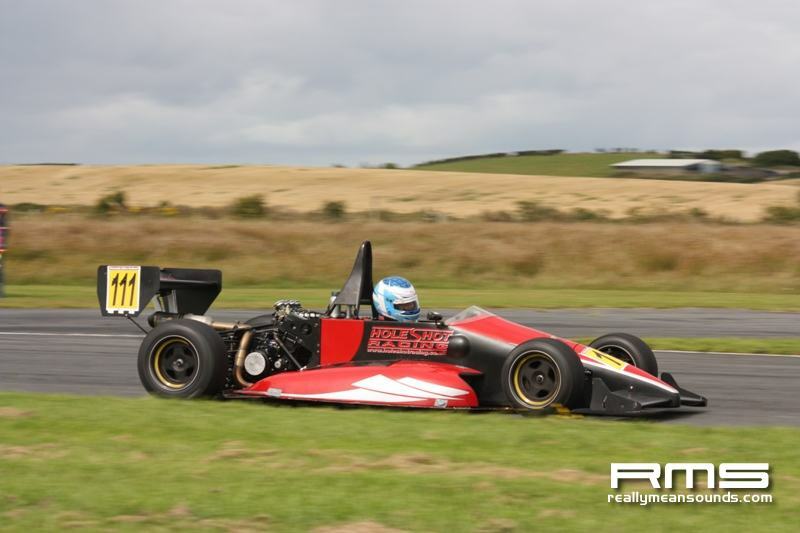 McCullough, Robinson, Ferguson and Pollock any one of the quartet looked good for the runner up spot, but Robinsons Van Diemen ground to a halt as the trio continued with Rory Farrell joining the train. 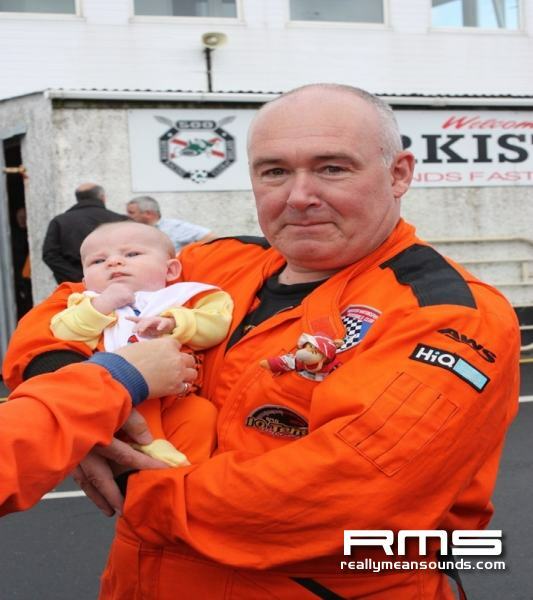 McCullough and Ferguson broke clear of Pollock and at the flag it was McCullough from Ferguson. 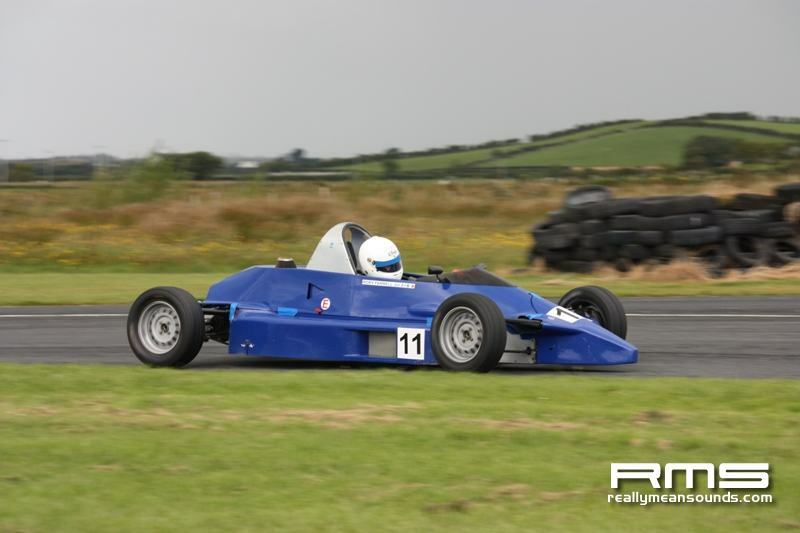 In the paddock to present the trophies in the absence of Martin Donnelly was his son Stefan and the first to congratulate Neville Smyth was his four year old son Jason and keeping a close eye on all of the action ex-F1 star Eddie Irvine. 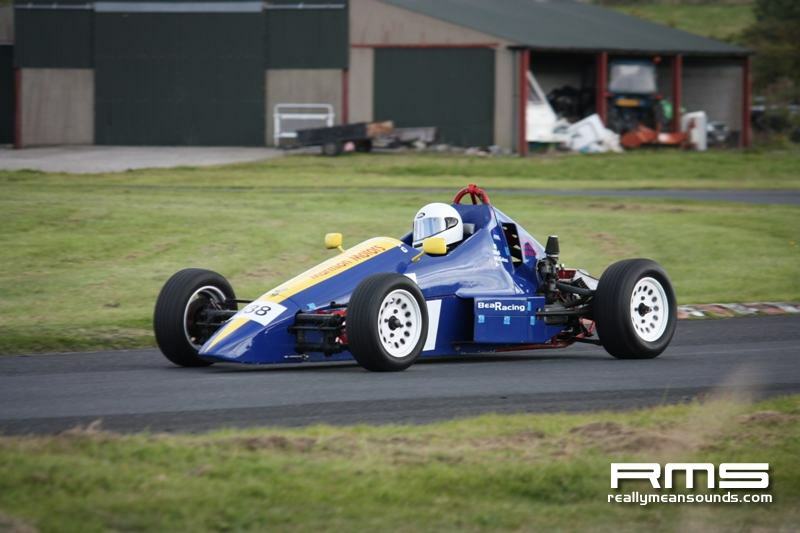 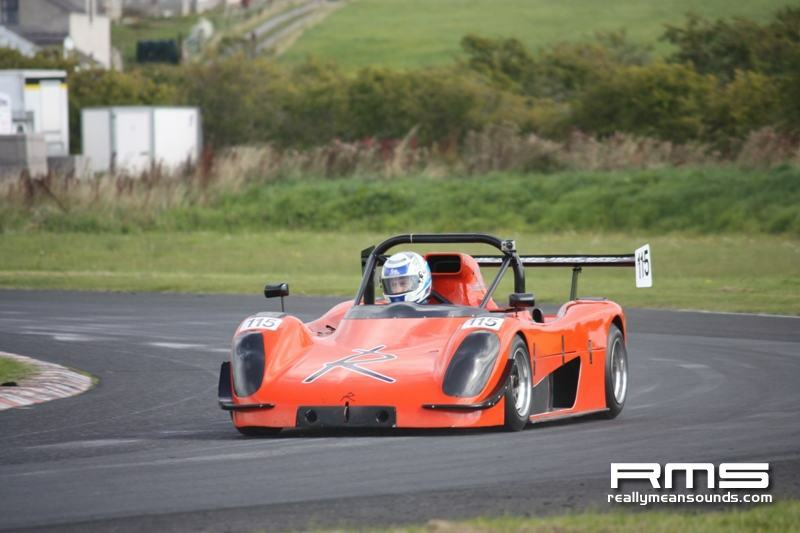 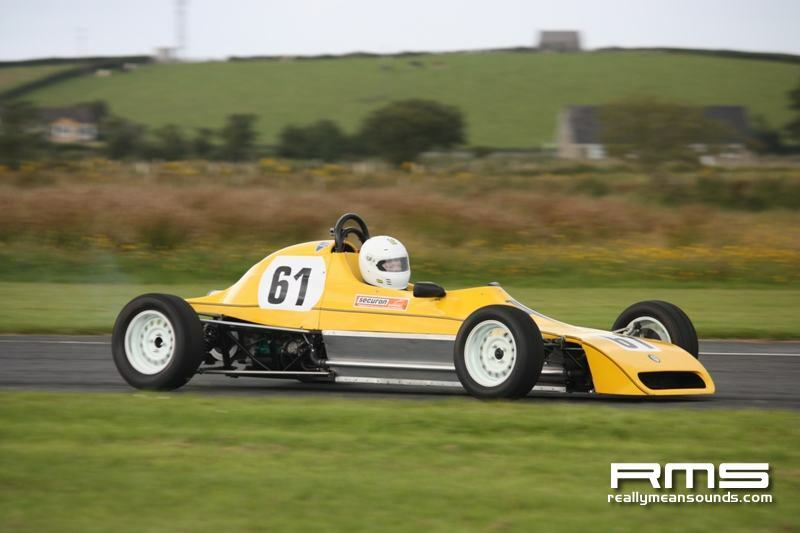 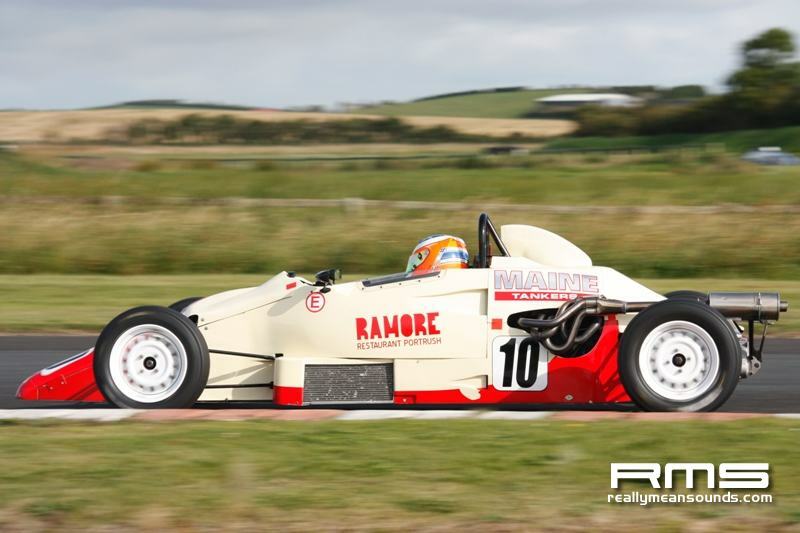 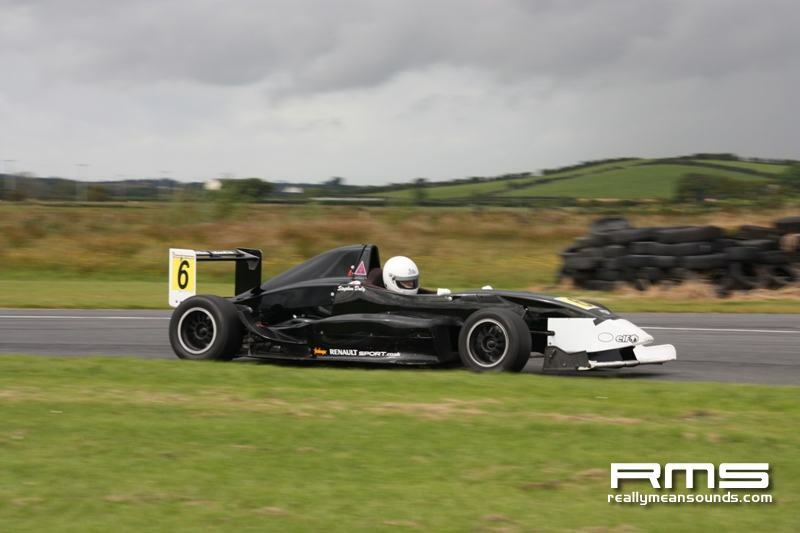 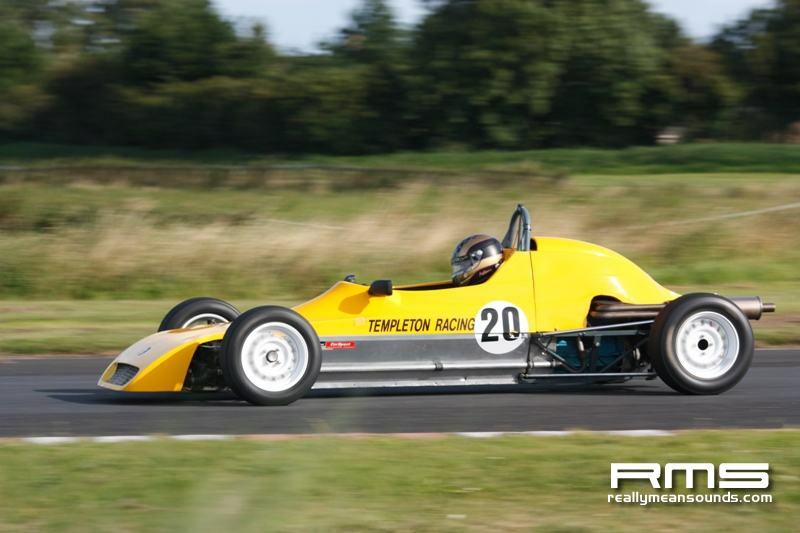 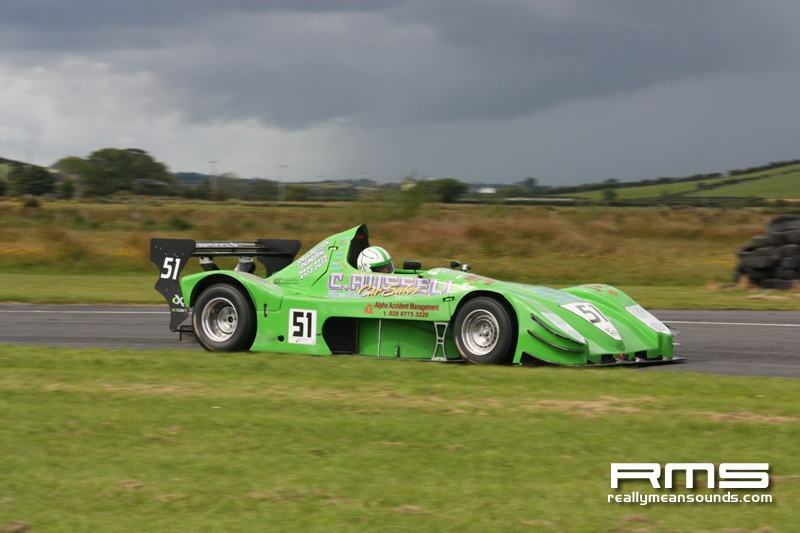 The support programme featured double headers for Formula Libre and Roadsports, yet another double for Stephen Donnelly in Roadsports, while in the well supported class B a double for Mark Crawford. 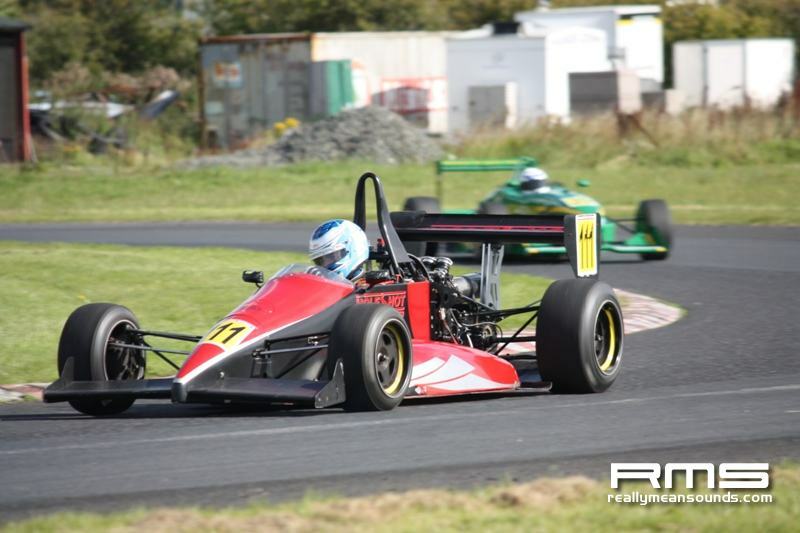 The Dalys were tops in Formula Libre, Dan winning the first race while Stephen took the second. 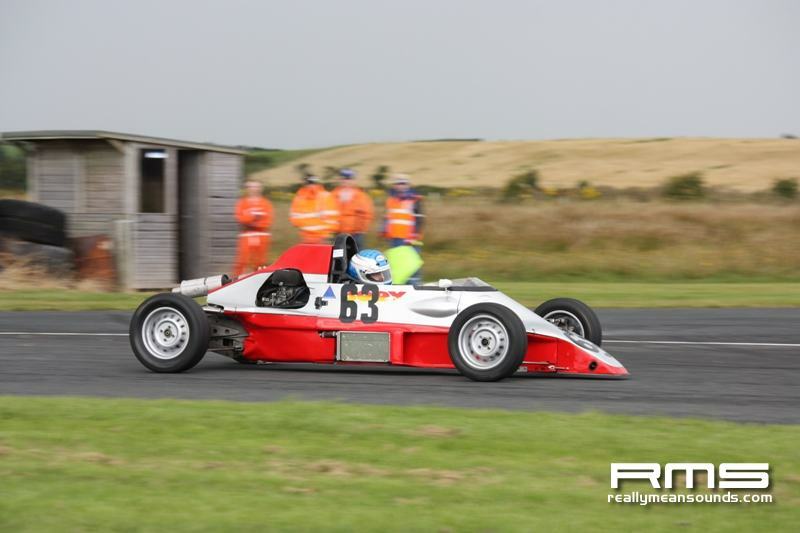 Formula Vee featured a B race won by Adam Macauley with Ray Moore the winner of the Final and Robin Titterington blasted the opposition in the Saloon/GT race.